One of the primary functions of Project Butterfly is to develop, enhance and support the positive personal development of girls and women of African descent and to share the concepts and skills to facilitators so that they have a clear understanding as to the intended use of the Project Butterfly Book, Workbooks and other collateral materials. 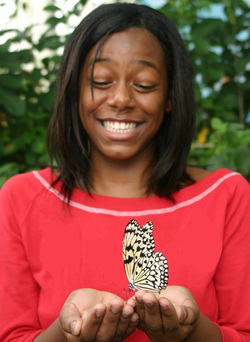 As Project Butterfly, continues to evolve as a tool and curriculum for supporting girls and women of African descent, its information has been utilized in a wide range of community, organizational and educational settings. The Project Butterfly's Facilitator Training has been developed to enable participants to become fully acclimated to the author of Project Butterfly, (Niambi Jaha-Echols) intended use and delivery methodology. As a bonus training participants will also receive instruction content from the book, “Inspiring the Souls of Our Girls”. Project Butterfly's Facilitator Training is designed to help create adaptive and productive responses as well as cultural sensitivity to girls by giving each facilitator an opportunity to examine their current beliefs and judgments regarding girls of African descent. This Training will give social workers, teachers and child advocates holistic strategies for strengthening and empowering girls using the book Project Butterfly. The Project Butterfly Facilitator Training focuses on various approaches to developing a positive self-image from an emotional, culturally based and psycho-social prospective while utilizing the life cycle phases of a butterfly to inspire transformation within ourselves and our girls. 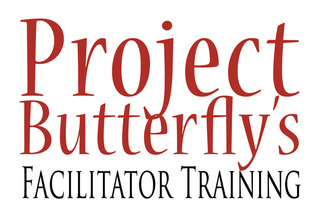 Project Butterfly Facilitator Training can be held at your facility! Have a minimum of at least 4 adult female participants who are committed to the training from beginning to end. The training includes a power point presentation, discussion and experiential processes. * A proposal can also be created based on individual needs.